A growing demand for milk and cheese in China has the potential to bring California’s beleaguered dairy industry back to life – and with it, renewed concern about its damaging effects on the environment. 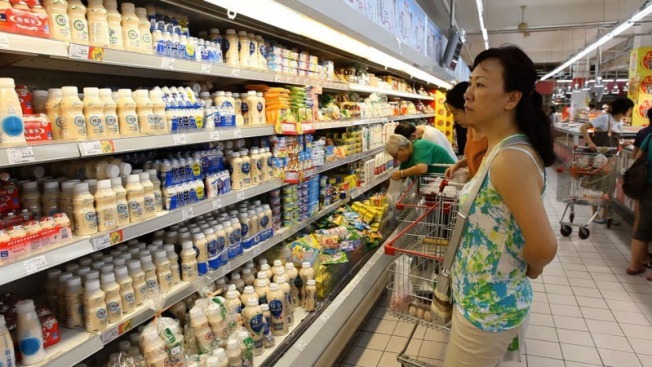 As China’s middle class grows, so does its penchant for dairy products such as milk, cheese and yogurt. U.S. government data show that Chinese demandfor dairy products is growing rapidly. For instance, between 2011 and 2012, imports of skimmed milk powder grew by 49 percent and are expected to increase an additional 18 percent this year. And although China is trying to build its nascent dairy industry to meet this demand, it relies heavily on imports of high-protein feed. That includes one of California’s most water-intensive crops, alfalfa. But this news, and the already-documented toll California’s large dairy farms are having on air and water quality in the Central Valley, is making many environmentalists nervous. California is the nation’s largest dairy-producing state with nearly 42 billion pounds of milk produced in 2011, or 21percent of the nation’s total milk output, according to the Dairy Institute of California’s most recent economic report in 2012. That success has been attributed largely to the state’s model for dairy farming, which maximizes the number of cattle per farm while minimizing the need for on-site food production. But it’s a model thatenvironmental scientists say has wreaked havoc on air and water quality. Critics and scientists point to studies showing the dairy industry, with roughly 1.8 million cows, is the single largest contributor of smog-forming volatile organic compounds in the valley’s already-polluted air. Government and academic research indicates that gases emitted from fermented feed, cows and cow waste combine with other free-floating particles in the atmosphere to form smog. The dairies also have been implicated in the pollution of groundwater. Research has shown that nitrogen produced by cow waste can seep through soil into groundwater, contaminating water sources and, in some cases, making the water undrinkable. For instance, dairy manure, which is the largest source of animal manure in California, accounts for more than 200,000 tons of nitrogen every year, much of which ends up in groundwater, according to research by Thomas Harter, a hydrologist at UC Davis. Nearly 10 percent of public water wells in California have more nitrogen than the government deems acceptable, while in some areas, more than one-third of private wells exceed that level, according to the UC Davis study. But over the past five years, the once-booming dairy industry has begun to slow. According to the California Department of Food and Agriculture, more than 300 dairies have gone out of business in that time period. That trend, said UC Davis agricultural economist Leslie Butler, is the result of high feed costs and a vulnerable industry model, which relies heavily on cheap imported grain. In the past few years, feed prices have skyrocketed, the result of competition with the biofuels industry, a severe drought in the Midwest and increased shipping and transportation costs. But not all hope is lost for the battered industry, said Ross Christieson, a consultant for the California Milk Advisory Board, a trade group for the state’s roughly 1,600dairy farmers. And it’s this potential for growth that has Newell and other environmental activistsconcerned. And shipping the state’s limited water supply, in the form of alfalfa, is a concern to many as well. But while Chinese demand for dairy is increasing by double-digit percentages every year, according to the U.S. Department of Agriculture, Newell and others say it’s also likely temporary. That’s because Chinese entrepreneurs are trying to meet the growing demand by starting their own dairy farms. That could reduce demand for California dairy products, and because China has a limited amount of arable land and water, Chinese farmers would need to import more feed, including water-hungry alfalfa. And that could bring California’s dairies to the same place they are today – struggling to pay the high cost of feed. This story was edited by Richard C. Paddock andcopy edited by Nikki Frick and Christine Lee. This story was produced as part of the Food for 9 Billion series, a collaboration of The Center for Investigative Reporting, Homeland Productions with broadcast partners PBS NewsHour, APM's Marketplace, and PRI's The World. For more, visit http://cironline.org/projects/food-9-billion. The reporter can be reached at srust@cironline.org.